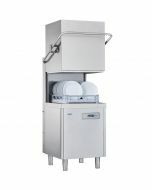 The KROMO Pass Through Dishwasher (often referred to as a hood dishwasher) offers establishments a solution for high capacity near continuous washing. 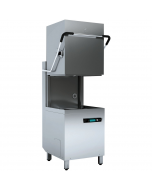 Featuring high-grade stainless steel construction all round, stainless steel hood, handles and hinges ensure a hard-wearing and durable machine that is suitable for long-term commercial use and is also aesthetically pleasing. 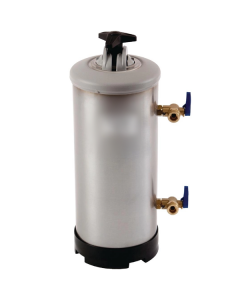 Inside the wash tank, stainless steel wash arms and rinse arms with press split jets ensure full coverage and great wash results whilst eliminating the need for removal and cleaning of wash jets. 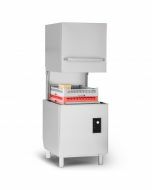 A stainless-steel surface filter helps to catch food debris and grease, preventing damage to internal machine components. 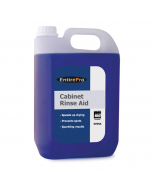 A powerful rinse booster and wash pump (with double filtration system) provide washing power to remove heavy soiling from plates and crockery. 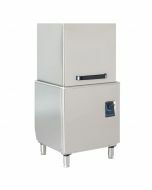 Fully WRAS approved, an integral break tank is fitted as standard to ensure compliance with UK water board regulations for commercial dishwashing in high-risk areas. 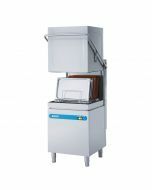 Fully automatic operation is guaranteed through automatic detergent and rinse aid dosing pumps that are integral to the machine. 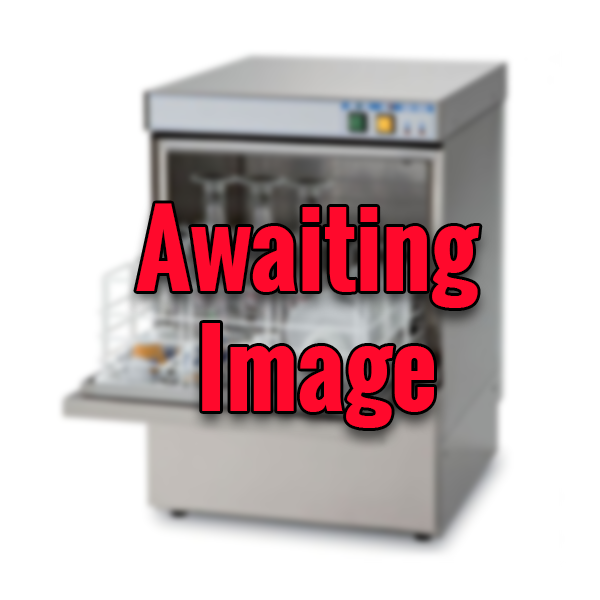 Operators simply select between a 1 or 2-minute wash cycle. 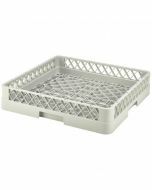 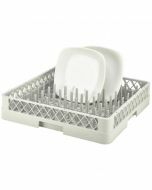 Supplied with 1 glass basket, 2 dish baskets and 1 cutlery holder as standard. 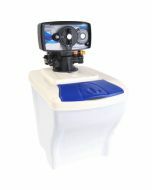 Drain and water connection hoses for UK fittings also included as standard. 30 amp or 3 phase hard wired power supply connections are available. 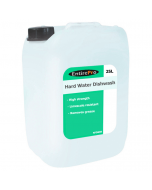 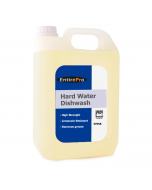 In hard water areas, the glass washer should be used with a water softener to ensure quality wash results and preserve the life of the machine.